The 7th International Conference on Multidisciplinary Research 2018 (ICMR 2018) shall be held from September 5-6, 2018 at Universitas Islam Sumatera Utara (UISU), Medan, North Sumatra (Indonesia). Being dedicated to the advancement of theories and practices in multidisciplinary sciences, the conference promotes collaborative excellence among academicians, researchers, profesionals as well as pioneers and is also expected to bridge and develop international network among them. Main objectives of the ICMR 2018 are to share research results in different fields, to improve both the research culture and the collaboration among scholars and reseachers, and to increase academic solidarity among the participants from various countries. The synergism of researches for future purposes is of primary value for the human life improvement. The ICMR is an annual and academic event and becomes a collaborative venture of four universities in the South East Asia region, namely, University Science of Malaysia (USM), Universitas Syiah Kuala (Unsyiah), Universitas Islam Sumatera Utara (UISU), and Universitas Hassanuddin (Unhas). Historically, some previous conferences were successfully held, such as, in 2012 the conference was organized by USM in Penang (Malaysia), in 2013 by Unsyiah in Banda Aceh (Indonesia), in 2014 by UISU in Medan (Indonesia), in 2015 by USM in Penang (Malaysia), in 2016 by Unhas, Makassar (Indonesia), and in 2017 by Unsyiah in Banda Aceh (Indonesia). Theme of this international conference is " Strengthening Collaboration for Research Sustainability ". Full papers submitted to the conference will be peer reviewed. 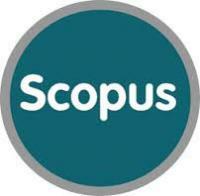 Upon acceptance, the paper that has been presented at the conference by one of the authors will be published in the Scitepress, and indexed in Scopus. Therefore the author should follow the guide line/template. The papers should be written in English and must be between 5 to 8 pages.